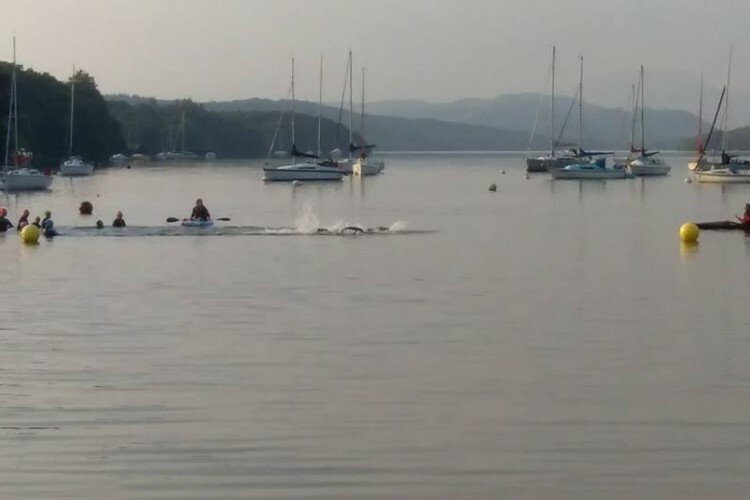 Fell Foot Open Water Friday night Coached session – May 2019. This is a group coaching session with kayak safety support at Fell Foot Park. These sessions are starting May 2019. We have five sessions (£30) from the 10th May to 7th June. This is an ideal session for anyone looking to start open water swimming, with a reasonable confident swimming ability (if you are very novice, it would be advisable to attend one of our Open Water Introduction sessions). This is a weekly session every Friday 7.15pm – 8/8.15pm. One off sessions are available at £8 per session, but you will need to book in advance to ensure there is space. The group will be split in two or three groups of similar ability swimmers with two coaches. It is also an ideal session for swimmers wanting to gain confidence in open water swims or for regular open water swimmers wanting some open water practice in a group environment and a great way to get swimming fit. If you are very nervous and completely new to open water, it would be advisable to attend one of the Open Water Introduction sessions with a 1:5 ratio of coach to swimmer, which also includes a theory session. (2.5 hr session). Week 2 – Warm up, open water skills session and assign groups. Week 3 – Warm up, open water skills in groups in assigned groups and longer reps (option). Week 4 – Warm up, open water skills in groups and long swim option with extra buoys. Week 5 – Warm up, open water skills in groups and specific race prep for swimmers (optional). Please arrive at 6.50pm if it is your first session as, you will need to complete a registration form, once you have completed your PARQ form, this only needs to be done once and will be kept on file for the rest of the summer, you will however need to sign in each week. You will also require a bright hat to swim. We do have SleekerSwim bright orange/green hats for sale for £2.00. Wetsuit hire is also available at £10 per hire, but also option of hire for an event and sessions.